Ya so after a long gap & after someone who sits in a 30” 40” cube taunting teasing me (again and again and again) with me running away with the cash money I decided on the date for the celebration. Friday 11th was the day and Planet X/Dominos were the locations. • AP wasn’t able to overtake the “uncle’s car (that’s what he told)" both the ways. Can you believe it, that man has Alto and our hero has modified swift with fancy number and all. 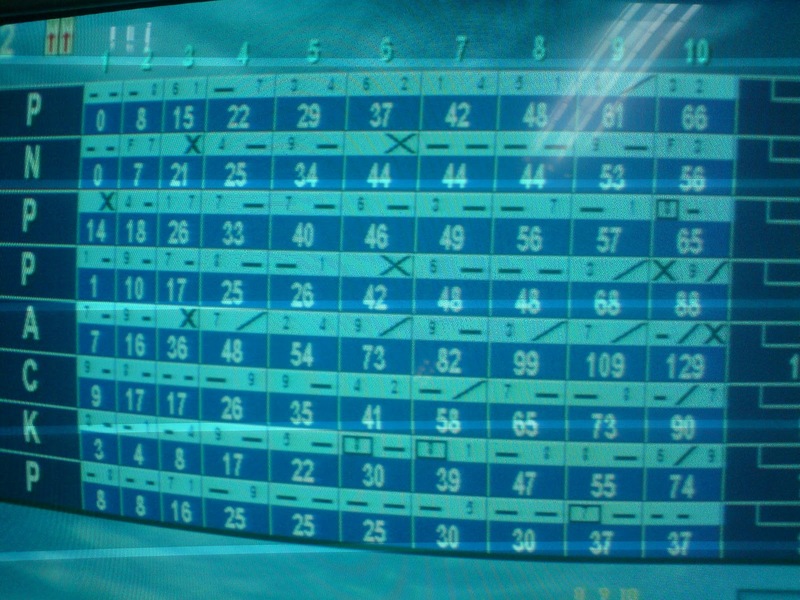 • We did bowling and it was the first time for me. I was good (people who are J called it beginners luck) but then whatever I was good between the veterans; while PG was getting khush that there were people behind him. • An untamed bulldog was in the next lane and man; he was using all his forces to get those rolling. & here was our Pav sliding dropping the ball which took say 30 secs to reach the destination by then the pins got so bored that they thought of falling themselves. • The Pastries as usual were yum. From the blueberry to the mango to the nutty something to the chocolate everything were tried. Never, I repeat never exit out of Planet X without relishing the pastries. That’s like a sin. • & puff, we were in Dominos ordering stuff to the good guy who sent us out, took the order outside, arranged tables, served hot Pizzas, re-took order and made a joke. • While everyone were busy with the food, CP and AP being typically them, stared and stared at chicks dining neighboring table, so much that I had to leave early (after paying the bill) so that they get better access. 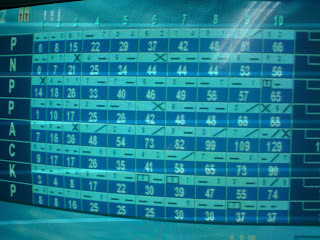 For all you people, who don’t agree with my bowling spree, attaching the pic, K is me, K for Kirik Kaavya. Thanks to you for arranging this memorable & funny event. @PN - You all did not let me taste the size 0 pizza, so I did not put it up. You know people who eat Non-V consume Veg too. Vaddu kavya......U called us Bhookads....take this ..dhishum dhishum.....remaining I will courier it to ..........lets do one thing......lets donate that money to some good cause....... then we will conclude who is bhookads......wht u say??????? ?